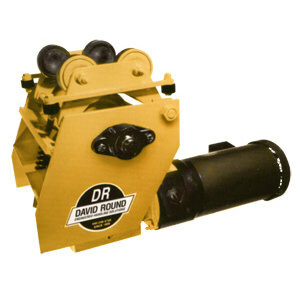 Motorize hoist movement, ladles and other loads when directional push buttons are pressed and the drive tire is engaged. 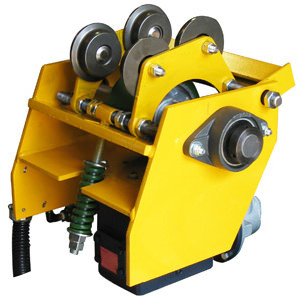 Manually reposition loads when drive tire retracts after push buttons are released. 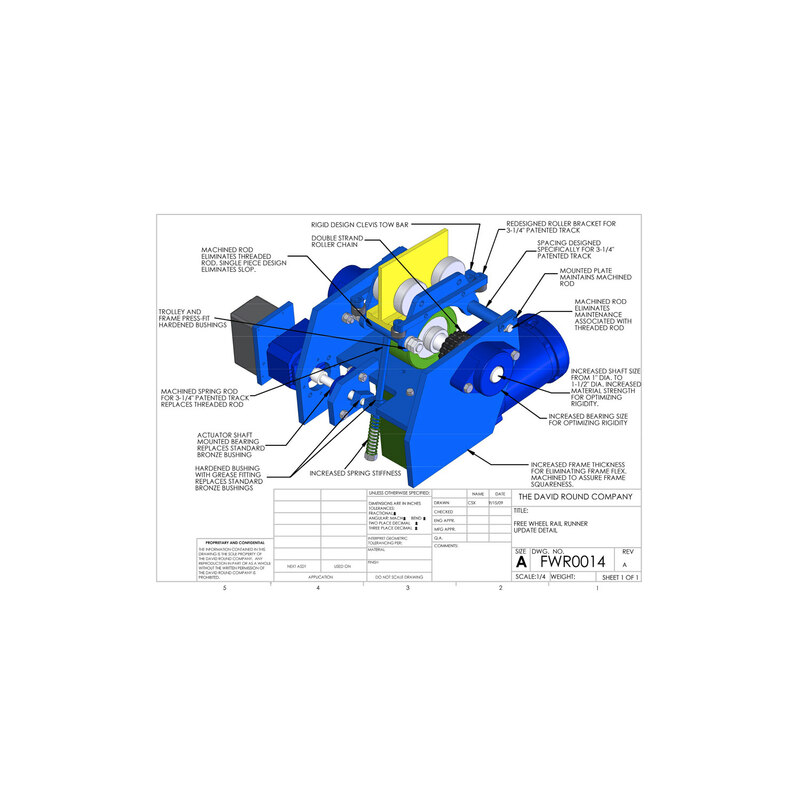 One and variable speed models are available to accommodate long runs, sharp curves and switches. 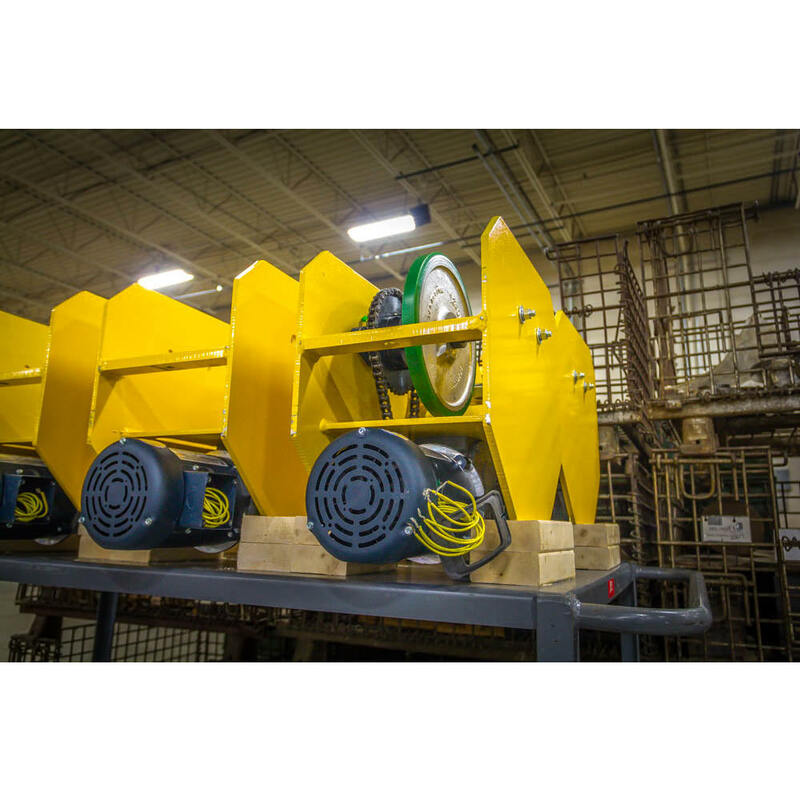 Motorize trolley movement overhead while maintaining manual positioning ability with David Round’s free wheeling tractor drives. These versatile tractor drives will get the job done quicker and safer. Whether you are using electric or air to power these units, they will help you accomplish your goals. This equipment is not to be used for lifting or supporting people. All products are available in Stainless Steal and Made in the U.S.A.